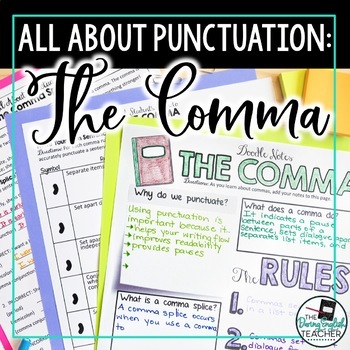 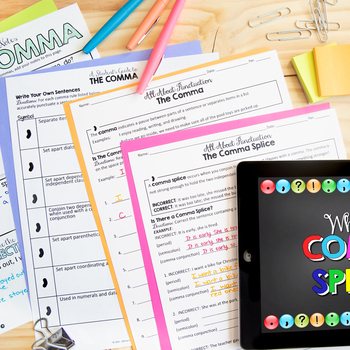 This punctuation unit teaches students all about commas. 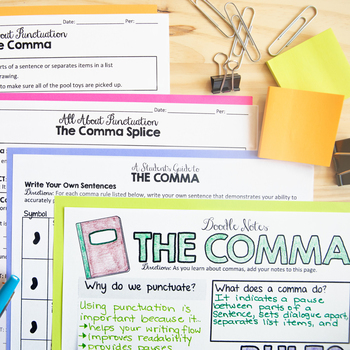 This lesson is ideal for younger or struggling secondary students, and can easily be adapted for upper elementary students. 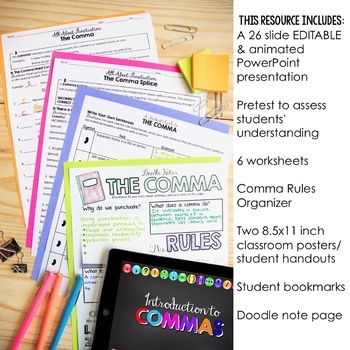 Please note that all of the PDF files not included in the teachable PPT are sold in a secured PDF file.